Solutions for metallic expansion joints - Bachmann Dampjoint Inc. 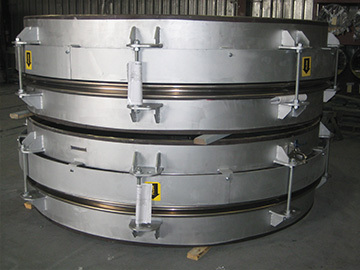 Round: Convoluted bellows are made up to thirty feet in diameter in either single or laminated-wall construction, and are custom-engineered into any expansion joint system design, including externally-pressurized, pressure-balanced, hinged, gimballed, and articulated systems. Rectangular: Camera-corner, mitered corner or round-corner expansion joints combine super flexibility, high life cycles, low-stress corner junctions, low spring rate, and unlimited sizes, in many configurations. Units can be designed to absorb both axial and lateral movements. 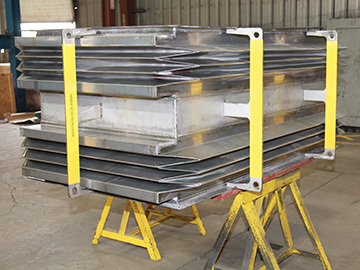 Metallic joints can be designed to accommodate very high temperature applications.